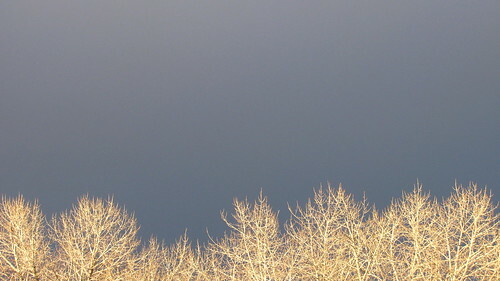 Day 104: Treetops against stormy sky. Good eye! The colors and framing on this are perfect!